Christmas in July? SERIOUSLY? Lots of the quilty blogs are featuring Christmas in July posts this month and I get it…really I do. It’s a gentle reminder to get busy planning and making holiday and Christmas stuff. 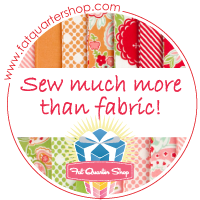 The fabric distributors and retailers begin putting out Christmas fabric and it’s the beginning of a full shift for marketers who are aiming to guilt us into feeling like we need to add more to our quilting queue. Like I need that! Rather than succumb to the pressure, I decided to do an inventory of my stash and I was certain I’d find something Christmas-y to work on. I only dug about halfway and I’ve run out of room to display what I’ve found. As you can see, I’m a HUGE fan of panels. They sew up quickly and make great homey decorations. What I’m missing is backing. While these panels are high quality quilting cottons, I’m not opposed to getting Christmas fabric from Hobby Lobby or JoAnn’s for backings because odds are, they won’t go through the wash.
Now over to kitted projects. I found this kit at the Houston Quilt Festival in 2014 and when sewn up, it is strikingly gorgeous. Yet, it’s been in hiding for 4 years. I absolutely love how adorable the Santa wall hanging is with the stuffed chenille mustache and bells. I think I bought this kit 3 years ago. Look at those yo-yo’s! Cute! And let’s not forget the Christmas tree that lights up. I got this one going a couple of years ago (pre-2016) and decided to micro-stipple it on the outside of the tree on my sit-down. After about a half hour, my short attention span kicked in and then packed it up and put it away. For shame! I think I will finish this one this year and take it to work. What on earth am I going to do with this? I DON’T color! I have no idea where this came from or how I got it. I think the quilt gremlins put it in my stash. I’ll send it to my grandkids with a set of fabric markers! I’m going to ask DIL to get the panel back to me no later than Halloween and I’ll quilt it up for them and send it in time for Christmas! How CUTE is THAT? A keepsake that the kids colored! Love it! Now this is not to say I don’t finish Christmas projects. I bought 2 of the Christmas Pure and Simple panels several years ago and I finished one for us. I proudly hang it every year. Those holly leaves in the quilting are from my embroidery machine – from Amilee Scott Designs. Everything else is FMQ on my sit-down from my early days. Do you all remember a few years ago when the Rudolph fabric was all the rage? I finished that one. There isn’t any quilting on it other than STID. But I bring it out every year and it really adds to the kid-feeling of Christmas around here. So now for this year’s Christmas in July… Remember that Christmas Pure and Simple panel I made? There are small pretty panel pieces on the top and bottom and I still had those from the one I made for here at home. I decided to make them into mug rugs or coasters. This is an absolutely perfect project when you have zero time and tons of scraps. The backing is left over from the Rudolph quilt and the batting is from an unknown quilt project. This is a great opportunity to use those little used decorative stitches on your machine that are never used. Be sure to test them on a scrap first. I didn’t like my first choice (small green triangles…I thought they resembled Christmas trees…but no). The pattern on the farthest left is what I ended up using on the first coaster. Yes, those are black button hole stitches from another project. 🙂 I ALWAYS test my button holes. This took me about 15 minutes to sew up these four panel pieces. I just made a decorative stitch around the outside of each one and then did a single straight stitch around the circles and squares. To avoid binding, I like to pink the edges. I discovered that pinking shears are very overrated. This was my first time to use the pinking rotary cutter. I’ll NEVER go back! Here they are! All finished! I’ll stitch up the other 4 later this week. Christmas in July? Done! Late comment alert! All of them are neat. I have the green Christmas tree in green and red Hummm maybe some Christmas I will get one finished! LOL Love the way you did the coasters – nice! Yes! The Missouri Star Quilt Company Daily Deal is my home page so I’m sure to grab any deal for pennies on the dollar when they offer something I need. And then there is the 40% off Hobby Lobby coupon too. That has been invaluable when purchasing those big rotary mats. I’ve gotten creative with backings made from sheets or fabric shower curtains too.